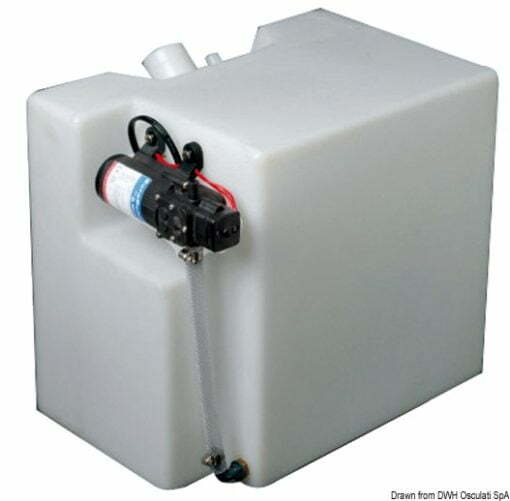 Made of polypropylene tank already assembled with fresh water pump type 16.503.12. 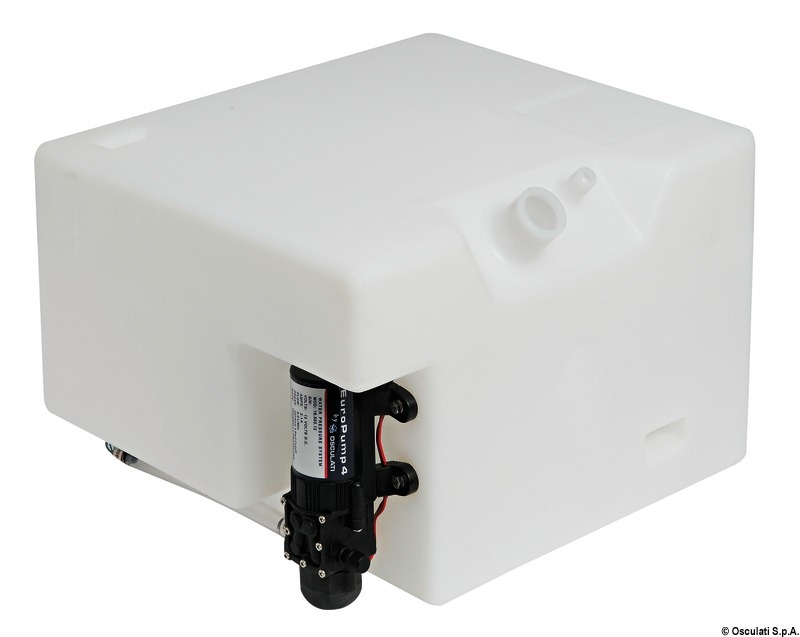 Can be installed with base 340×400 (height 260 mm) or base 400×260 (height 340 mm). Made-ready for bracket mounting 52.195.00.